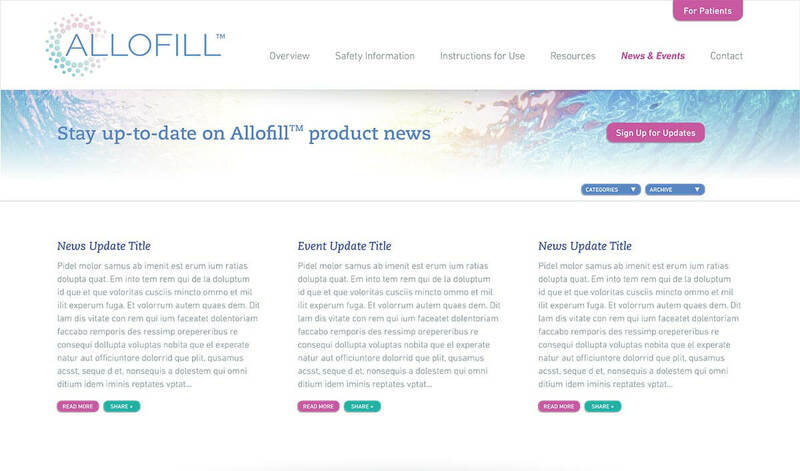 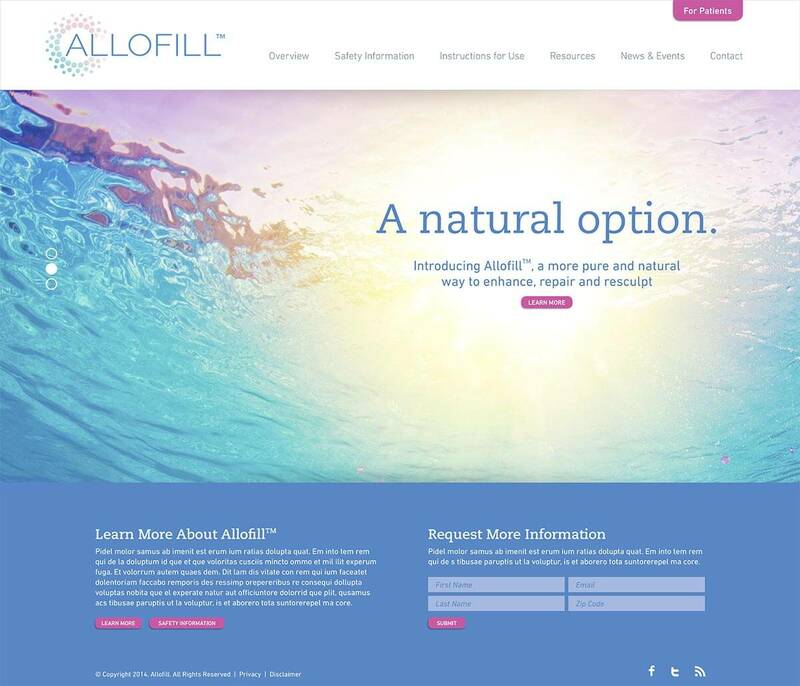 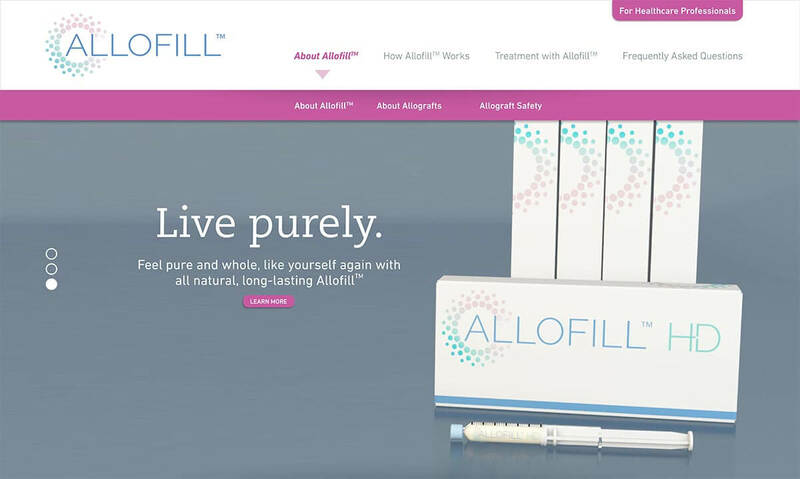 Allofill is made from naturally occurring fat tissue and can be used to fill soft-tissue defects. 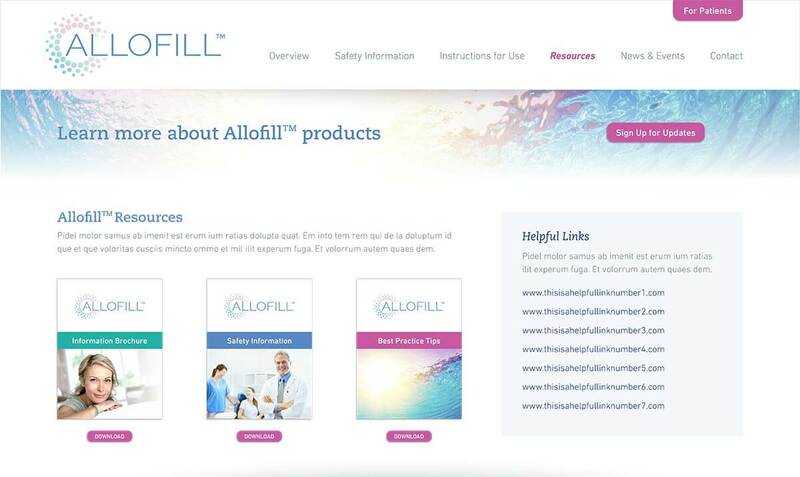 Before the product was launched, Bop Design was hired to create a website design that resonated with both patients and doctors and channels them to the appropriate area of the website. 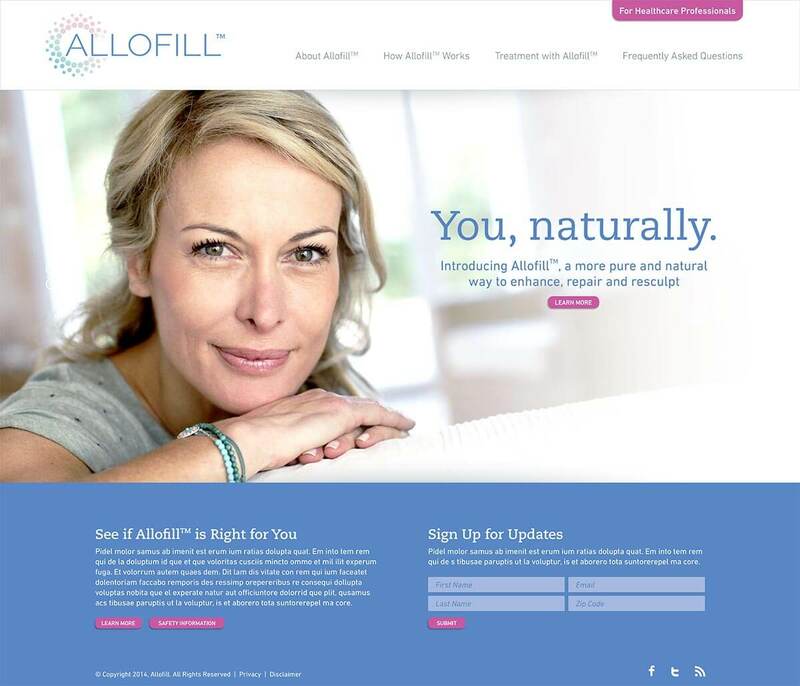 The new website serves as a “living” resource center for patients, plastic surgeons, contract sales people and distributors looking for product sheets, marketing literature, etc.